Shameem’s latest recording Time Does Not Reverse won the (international) Independent Music Awards Urban EP category, as well as amassing a slew of wins and nominations in the UK Songwriting Contest, USA Songwriting Competition and John Lennon Songwriting Contest. A multi-skilled musician, Shameem wrote and co-produced the 4 tracks, playing keyboards and contributing to the drum programming as well as her stunning vocals. The DIY video for the track “Just A Show” has also raked up over 11,000 views on Facebook. A self-managed, independent artist, Shameem keeps a busy performance schedule, having supported major international artists such as Michael Bolton, George Benson, Belinda Carlisle and Ronan Keating, and undertaken tours in both her native Australia and in the USA and Canada. Tracks from Shameem’s previous studio records have reached the finals of the international Independent Music Awards (2015 and 2013) and the Australian Songwriting Contest (2014 and 2012), among others. Born in Australia to a Chinese-Malaysian father and an Iranian mother, this bubbly vocalist and songwriter enchants her audiences with her gripping stage presence, personal and socially conscious lyrics, and powerfully expressive voice. The diversity of her heritage has not only contributed to Shameem’s exotic looks but has influenced her eclectic approach to music. Her unique fusion of 90s R&B grooves with the melodic sensibility of 70s soul and a subtle twist of jazz has seen her frequently compared to such artists as Alicia Keys, Mary J. Blige and Michael Jackson. 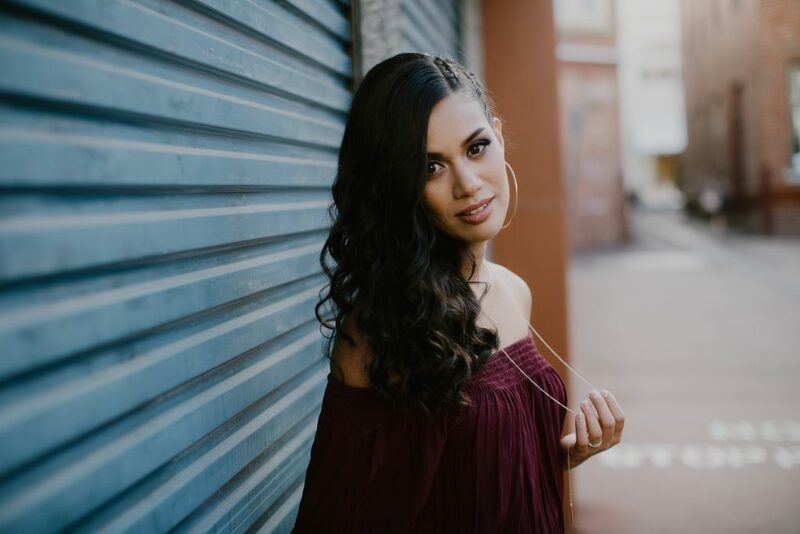 Shameem’s songs have proven popular with community radio stations around Australia as well as USA college radio, garnering airplay on over 80 Australian stations and 130 USA stations, and charting in the Top 30 and Top 5 at several USA stations. Meanwhile, her track “Turn It On” enjoys popularity in her home state of Western Australia, having been synced to a major TV advertising campaign. Shameem is passionate about uplifting and inspiring people to work for the betterment of the world through her music.